CSI Bob (Bob Rees) in Hospital, Needs Blood Now. Someone asked about Dr. Anguizola at Ning, but I decided to cross-post my response here. Hopefully, this will be useful to those who do not have medical insurance here in Panama. Dr. Anguizola's office is at Mae Lewis Hospital. He became my cardiologist when I was admitted to Regional Hospital in David on February 23 of this year. He is now my regular cardiologist. I have great respect for Dr. Anguizola - I think he is an excellent cardiologist. His office phone number is 774-2453 - but his staff speaks only Spanish. --------- For those who are interested in my experience related to my mild heart attack in February of this year, here is my story... 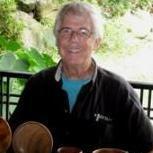 I am a 74 y/o expat who moved here from Sonoma County in Northern California in early 2012. I am a permanent legal resident of Panama, and have an E-Cedula (Panama's national ID card for non-citizen foreigners). I have have no medical insurance in Panama. My Medicare Supplement plan includes a $2,500 deductible, and I would have to go to Florida or elsewhere in the U.S. to use it. I suffered a mild heart attack on February while carrying my stuff in to the BCP Center for the Tuesday Morning Market. I became weak and dizzy, so I took everything back out to my car, and drove to Dr. Chen's office. Dr. Gomez quickly had me lie down on the patient bed, ran an EKG, determined that I was having a cardiac "ischemic event" - reduced blood flow to the heart muscles. That visit cost $120. Dr.Gomez called the 911 ambulance (my choice - minimal equipment, but a free ride). They arrived soon, took me to the Regional Hospital in David. (A better-equipped private ambulance would cost $250.) After another EKG in the "coronaria" (coronary emergency unit), it was determined that my condition was not that serious, so I was on a bed in the very crowded coronary emergency area for about 12 hours. (A new, bigger hospital is being built on the property, which will be a big help with the capacity problem.) Although the coronary emergency doctor at first thought I might go home the next day, it was later decided to admit me. I was moved upstairs to a six-bed coronary care room and confined to bed with not even bathroom privileges. I was hooked up to a modern, high-tech heart monitoring machine. After three days, I was disconnected from the heart monitor, and moved to a regular room on the cardio floor, still confined to bed. On the 5th day, I was allowed to get out of bed and discharged after my sixth day. Hospital cost for six days - just under $900. Dr. Anguizola's discharge orders for me included 30 days of not driving, resting at home, and not doing any kind of exercise of work. My 30-day supply of 7 different cardiac medications cost $44 at the regional hospital pharmacy. My first follow-up appointment with Dr. Anguizola at his Mae Lewis Hospital office including an EKG and 1/2 hour consultation cost $75. Future appointments at 3-month intervals for now will be $50 or $60, and getting prescription renewals without seeing him costs $10. My next appointment was for an echocardiogram (ultrasound), which cost $175, and no issues were found. A week later, my last follow-up appointment included a stress test (EKG while walking on a treadmill) and some irregularities were found. Dr. Anguizola recommended that I have an angiogram done. I was quoted approximately $4,000 for an angiogram here in David, and $15,000 for an angioplasty if necessary. He also said that I could probably get by with longer-tern medications, which I am doing for now. I am pretty much back to normal, and very impressed with the medical system and the medical professionals here in Chiriqui. I am currently taking cardio aspirin ($7 for 30 tabs at Farmicia Revilla, $8 for 1,000 tabs via Amazon, which is $7 per month vs about $5 per year.) My very low dose statin (Vastatina) is available at the public clinic pharmacy for $1.20 per month, and I had to show my cedula to get it. (I don't know if having a cedula is a requirement.) However, they don't carry my angina med, which is $15 per month at Farmacia Revilla. My drug costs will be about $18 per month after I get the cardio-aspirin from Amazon. I am the first I know of in my family to have a heart attack, but the care and medical services here in Chiriqui are excellent, and I appreciate what they offer for such a reasonable cost. Alto al Crimen announces a very economical medical discount plan---Ready Now!! A big thanks to the large crowd who attended our presentation at the Tuesday Meeting this week. But even a large crowd at the BCP theater is only a small fraction of the people in Boquete's expat community. Consequently, we're sending this announcement via local internet media to be able to reach a much larger segment of the expat population here. This is a long announcement; please bear with us and read it all the way through. We need to convey this information to all expats who need a low-cost medical discount plan. What we targeted was an extremely affordable medical discount plan that will give people access to good medical care from good doctors and a good hospital First, think about this. If you want to fly from New York City to Bangkok, you can fly on Emirates Airlines business class for more than $7200 or you could book economy class on another airline for a little over $500. Emirates would lavish you with luxury, including cold, scented towels to put on your neck, but the bottom line is you would get to Bangkok either way. I say that to say this. You can have a high end luxury medical discount plan or insurance policy if you want it and can afford it. Or you can have a fully adequate plan with low prices and large discounts. Most of the time people pay insurance premiums on their houses and cars while sincerely hoping they don't have a car accident or a house fire or a burglary. Most of the time they win their bets and have no claims during the year. The same is true with medical insurance or other plans. But if you DO have a problem, it is good to have a way to keep your costs as low as possible. The plan Alto al Crimen is able to make available to our existing “members” and others in the community who wish to sign up for our AAC Hotline service is with a hospital you possibly have not even heard of. The hospital is Hospital Cooperativo, and the plan is called “Medicina Solidaria.” A good translation of “Medicina Solidaria” is people supporting and backing up medical care for themselves and other people. Hospital Cooperativo is truly a cooperative organization which charges low prices and operates on a truly cooperative, non-profit basis. At each year's end any gains that might otherwise be thought of as profits are used for developing and improving the hospital and its services and not paid to any investors. Hospital Cooperativo is a small hospital. It has ten hospital rooms (There are 12 rooms at hospital Mae Lewis.) There are 15 to 20 affiliated doctors, a small staff of nurses and an administrative staff. The hospital has an emergency room, a pharmacy, a small cafeteria and a laboratory capable of performing most normal laboratory functions. It has a well-equipped operating room, an X-ray facility and an untrasound room. Most of the staff speak no English, but many of the doctors do speak English. The hospital director has a son who is a doctor in David who could be called on to translate for emergency room patients. Also, Franc Lugo, our AAC Hotline operator can call ahead for people enroute by ambulance, explain the nature of the medical problem and stand by to translate by telephone. The hospital offers services in the following medical areas: General Medicine, Internal Medicine, Emergency Room, Pediatric Medicine, Surgery, Gynecology, Cardiology, Cardiovascular Medicine, Otolaryngology, Radiology, Orthopedics, Reumatology, Dermatology, Physical medicine and Rehabilitation, Physical Therapy, Nutrition and Psychology As I have mentioned, every effort is made to keep prices low because the mission of the hospital to to provide good medical services at prices people can afford. There is emphasis on not ordering unnecessary laboratory tests or X-rays---only what is needed. Here is a list of applicable discounts for group members. Emergency Room – 50% Operating Room – 30% Hospital Rooms – 30% Injections – 30% Medicines in the Farmacy – 25% Specialist Consults -- 20% Laboratory Tests – 30% Ultrasound – 20% X-rays – 20% Intravenous fluids – 20% As an example to put the discounts in context, the cost to a group member for Emergency Room service is $7.50, and the daily cost for a hospital room is $42 to $49. As more members are added to the group, the hospital will continue to improve and expand its facilities. When the group (including Panamanians and expats) reaches 2,000 members, there will be a reduction in the already-low cost. There are already plans for next year to add 4 to 5 more beds, to enlarge the laboratory and to add three offices for doctors. Hospital Cooperativo is the ONLY cooperative hospital in Panama, and it has been in operation for thirty years. If you are well-off financially and want full medical insurance with all the bells and whistles, that is very reasonable for you. But if you are looking for a way to have quality medical care at low and discounted prices the Medicina Solidaria plan Alto al Crimen can make available is very possibly your best choice. If you are paying or considering paying $2,000 to $5,000 per year for medical insurance, instead you could become a member of the AAC/Hospital Cooperativo plan and put the insurance premiums in a savings account for medical contingencies. All your routine medical care could be taken care of through the very inexpensive discount plan. If you need no expensive procedures, your money will still be in the bank for future use, and you can add more every year. If you were paying medical insurance premiums, they would be gone whether or not you had any major expenses.. HOW MUCH? We will offer the group plan and include your AAC Hotline service for $150 per year. For other persons in the same household, the cost will be $125 per year. Because of the very low cost, there are no other family discounts. We need to require annual payments to minimize bookkeeping costs and administrative hassles. There is no waiting period, and there are no pre-existing condition restrictions. Also there are no age limits. We have an enrollment open season through January 17, 2017. Thereafter membership renewals will be due in January every year. Each group member will be issued a wallet card for use at the hospital, and each doctor's office and other hospital office that provides services will have a list of all annual-paid members to verify their status. Signing up involves executing a simple contract, providing personal information for your wallet card and paying $150 by check or cash. If you are not already registered for the AAC Hotline service, you will need to sign up and provide information for our data base, including detailed directions for finding hour home. Depending on the level of demand, we will have one or more sign-up opportunities before the last sign-up day on 17 January 2017. Several ;people did not have their money of check books this week, so another sign-up opportunity is being scheduled for December 20 at the BCP market, where we will have a table. Below is an English translation of the Medicina Solidaria contract. For legal reasons, the actual contracts will be in Spanish. PLAN SOLIDARIO OF COOPERATIVE HEALTH In the city of David, Province of Chiriqui, Republic of Panama, on the _______ day of the month _________ in the year ______---. between the COOPERATIVO DE SALUD CENTRAL DE URGENCIAS MEDICAS, R.L. (CUMECOOP, R.L.) a non-profit entity located in the district of David, Barriada Manuel Quintero Villarreal, Avenida Tercera West and C Street North, represented in this act by Dr. Ruben Dario Corre, male Panamanian, adult, married, with cedula #6-9-101 in his position of President of the Directors of the Cooperative. The following are the clauses & conditions of the plan. FIRST CLAUSE: The COOPERATIVO DE SALUD CENTRAL DE URGENCIAS MEDICAS, R.L. (CUMECOOP, R.L.) will offer the USER of the PLAN SOLIDARIO OF COOPERATIVE HEALTH that credits your status such that the Medical Servicess stipulated in CLAUSE 6 of this agreement & whose scope of coverage is established only within the installations of Hospital Cooperativo, located in the city of David, Province of Chiriqui, Republic of Panama. SECOND CLAUSE: in order to credit your status as a USER of the PLAN SOLIDARIO OF COOPERATIVE HEALTH, you commit to pay $10.00 monthly for the direct discount _______ or pay voluntarily through the window _____ to the COOPERATIVO DE SALUD CENTRAL DE URGENCIAS MEDICAS, R.L. (CUMECOOP, R.L.) (AAC NOTE: AAC members will only make annual payments, and no monthly payments will be involved.) THIRD CLAUSE: The COOPERATIVO DE SALUD CENTRAL DE URGENCIAS MEDICAS, R.L. commits to furnish an ID card to identify you as a beneficiary of the services. It will also furnish a card for registering payment & health services received at Hospital Cooperativo. (AAC NOTE: AAC members will not need the payment record card. In actuality, it does not have spaces to show health services received. A list of annual-paid members will be places in every doctor's office and other service location in the hospital to verify your paid status.) FOURTH CLAUSE: This cooperative health plan agreement grant the benefit of discounts only to the person who signs this contract and is not transferable. In order to receive the benefits authorized to the USER of the PLAN SOLIDARIO OF COOPERATIVE HEALTH, the person must present his card & the card that also lists the monthly payments. (AAC NOTE: AAC will arrange for an official annotation on the card to show payment has been made until a date one year after the date of the contract.) FIFTH CLAUSE: The user of the plan must complete his monthly payments of $10.00. If that is not done, he will lose coverage, and the contract will be terminated without any refunds. (AAC NOTE: This will not apply except after the date one year after the date of the contract when another annual payment will be due. If that payment is not made, the services will be terminated.) SIXTH CLAUSE: The COOPERATIVA CENTRAL DE URGENCIAS MEDICAS, R.L. commits to give discounts for the following health services offered at Hospital Cooperativo:  EMERGENCY ROOM CONSULT ….50%  OPERATING ROOM ….....................30%  HOSPITAL ROOM….........................30%  START IV (VENOCLISIS).................30%  MEDICINES FROM PHARMACY ....25%  SPECIALIST CONSULTS ..............20%  LABORATORY TESTS …...............30%  ULTRASOUND TESTS …...............30%  X-RAYS …........................................30%  INTRAVENOUS APPLICATIONS ...30% After reading this contract and its clauses and in witness whereof, the parties hereby proceed to sign the same. Given in the city of David on the __________________ day of _________________ of the year _____________ __________________________________ ____________________________ USER OF THE PLAN SOLIDARIO DE . Dr. Luis Wong to. CDD: 4-95-987 SALUD COOPERATIVA CUMECOOP R.I. Administrative Director “COOPERATIVE MEDICINE: The Alternative Model of Health Services Management in Panama” If anyone would like a copy of the PowerPoint slides from the presentation on Tuesday, please send an email request to rhgusn@yandex.com, and one will be sent to you. This is a bit cumbersome, but I don't yet have the PowerPoint file posted on a web site. Alto al Crimen is a non-profit foundation which provides valuable community services and is funded by donations. We need and solicit your support. We need you to help us so that we can help you.